The software can repair all kind of video files whether crashed, broken, corrupted or inaccessible (via any means). The software can repair all kind of video files whether crashed, broken, corrupted or inaccessible (via any means). No matter how severely the file is corrupted or how big the file size is, the software can repair all such files efficiently. All the videos file formats adopted in Windows environment like MP4, MOV, MPEG, MJPEG, MTS, M4V, MKV, AVI, AVCHD, WEBM, ASF, WMV, FLV, DIVX, 3G2, TS, 3GP, F4V file formats are supported by this video repair software. The repair of the damaged video file is just a click away. With the minimum and powerful features, Kernel Video Repair software delivers a smooth recovery instantly. The video quality remains unhampered throughout the repair process. The instant recovery does not compromise with the integrity, quality and print of the recovered video file format. The recovery is secure and harmless. 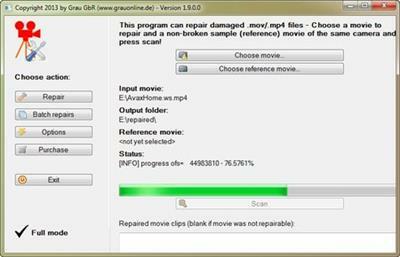 Once the corrupt video file is repaired, the software offers the users Preview option to have a preview for their repaired video file before saving to any destination location. It ensures the users that file is correctly repaired. 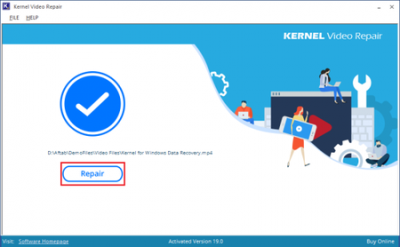 The efficient repair software is well compatible with all Windows Operating System versions like 10, 8.1, 8, 7, Vista, XP, 2000, 98, NT, 95 for the repair process. All video file formats are easily recoverable with the software.